The newest in the puppy simulation category comes in the form of Nintendogs. But will it fail because it's the DSs first simulator? 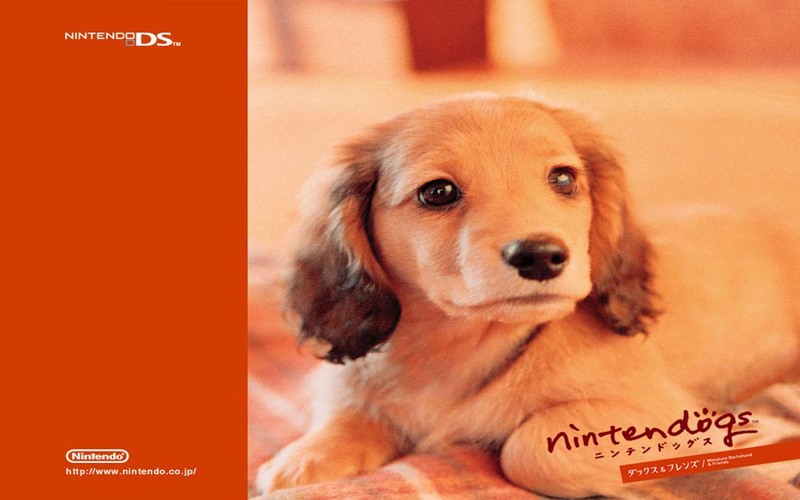 Welcome Noname: One of the best (and worst, strangely) things about Nintendogs is the fact the story is totally absent. There is absolutely no way to tie your name into the world, nor your various dogs either. There is (somewhat of) a point of Nintendogs though. You take care of a dog, then enter him in Obedience, Agility, or Disc Catching contests (we'll get to those), then buy more doggy care products and sometimes a new house (that isn't any bigger, strangely). Sit. Sit. SIT DAMN IT: Nintendogs uses the implemented DS mic to teach your dog various tricks. Some of them would be easy, such as sit, lie down, and the popular handshake...if the mic worked half the time. And that's where a big problem lies; the mic. When you try to teach your dog tricks, your voice will often become mumbled, or totally deformed, and sometimes all the dog will hear is heavy breathing. Each time you talk into the mic at your dog, he will grow to understand what you said, and associate it with the command, but if you muffle your voice or don't have it exactly six inches away from your face, while hopping on one leg thinking about the next Nintendo game, he will become very, very stupid. Needless to say the microphone doesn't exactly pick up on your commands perfectly. The reason he becomes so stupid is because he heard your voice as static or just your hot breath trying to talk from two millimeters away from the mic. When the dog becomes... "Mentally challenged" (you made him that way) you might as well donate him to the shelter because he is now useless. Up Next...Forty-Time Champ Corndog: By far the biggest problem lies in Nintendogs' crushing repetitiveness. After you've taken your pup out for billions of walks, and bough every dog collar possible, its time for you to enter some contests. Oddly, the contest difficulty varies widely from one to another. There are three kinds of contests (as aforementioned) but sadly; the contests are far too easy. The Disc Catching contest is no trouble at all once you train your pup for a little while, and the Agility Trials are nothing different. You will race around the track pushing those little puppy legs to the limit, then crush the competition in sweeping fashion. The Obedience trials on the other hand are not so easy. I don't think its because the actual contest is any harder then the rest, but because the mic fails in this situation again. As I said before, unless you have the perfect alignment with the mic, your voice will become muffled and the dog won't understand you. Rent vs. Buy: Nintendogs is a great game...but only for about a few hours, up until you do everything that the game offers. This is a great game for the younger audience, and I'm sure that they will see value in this game longer then more mature gamers. The sickeningly cute puppy models and the fact that you can let your pups play with others on other DSs is great. In addition, there are several different breeds that you can unlock, and different game cartridges that feature others. Unfortunately, I can't recommend this game at the price that it sells at now. If you can find it any cheaper then retail pricing, then pick this up for the young ones and watch them enjoy. Just think "discount", and Nintendogs and you will do fine.